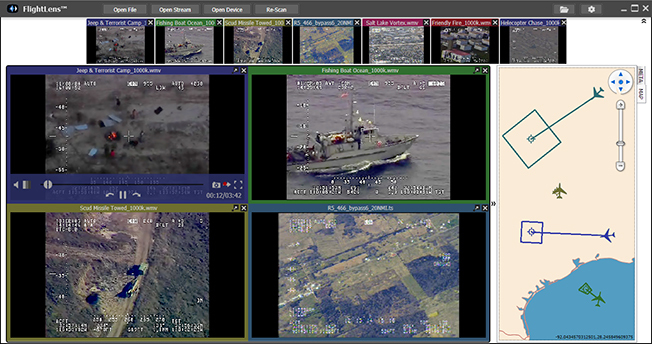 FlightLens® has built-in support for every major video, audio and metadata streaming standard. FlightLens® gives you total freedom to pause, replay, advance, scrub timeline, go live, record, etc., using familiar DVR-like controls that slide out of view until needed. Maximizing video display size is always a priority. Controls are provided for adjusting volume, balance, brightness, contrast, saturation, hue, taking snapshots, forwarding and full-screen display. You can also display video in it’s own pop out window. 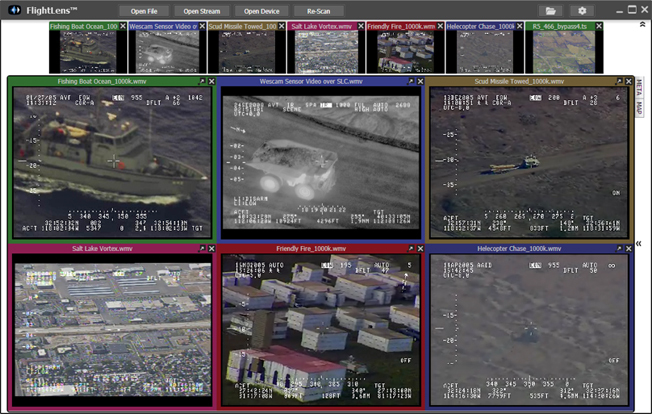 FlightLens® is designed to support monitoring of multiple video streams simultaneously. All open video streams are shown live in a scrolling strip of thumbnails. You can create a tiled array of larger views by dragging thumbnails to the main view. Playback views are automatically sized and arranged, can be easily swapped in and out and are color-coded to match thumbnails. Knowing the camera position and look angle is critical to understanding what you are seeing. 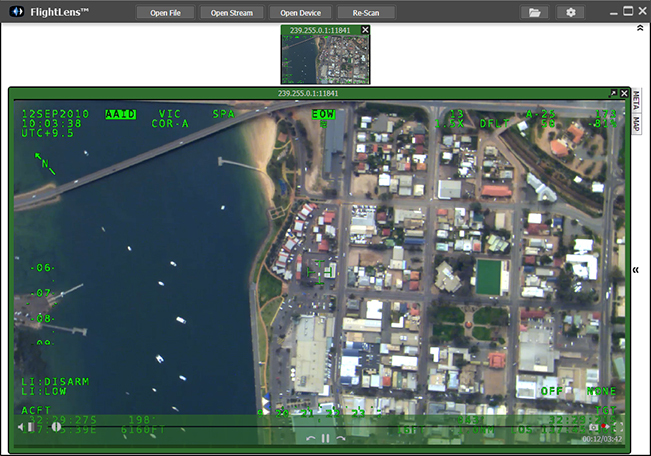 A slideout map panel uses embedded metadata to display the position of each video source and the footprint covered by the video on a zoomable vector-based map – you can even show your position on the map1. Pluggable architecture provides for future mapping solutions such as Google Maps™. You can view embedded metadata values like location, attitude, speed, etc. by opening the metadata slideout panel. 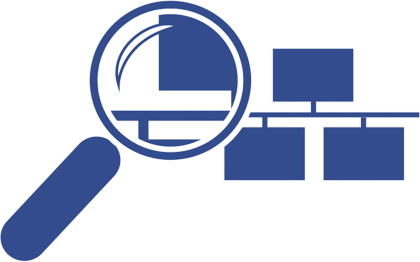 FlightLens® supports all the major metadata standards, including MISB 0601.0, MISB 0601.4, MISB 0102.7, MISB 0104.4A, and MISB 0608.3. FlightLens® includes features that make it easy to save, convert to other formats and forward video. Record live video to file for later viewing. Forward your live video stream to another network address. Re-stream a previously recorded file. The real world is a noisy place. Over air video transmissions are degraded by weather, distance and signal interference from many sources. The last thing you want is to lose playback or worse; crash, drop the connection and spend time re-establishing. FlightLens® handles data errors in the video stream due to corruption and/or packet loss in order to display available video data as long as possible. It also avoids codec crashes as data streams are lost and automatically recaptures partial or complete video data streams as soon as possible. 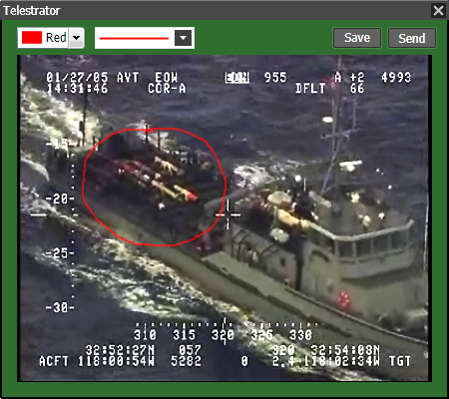 Data error handling increases range, helps avoid UAV loss, minimizes blind spots and prevents aborted missions. Get going faster with less setup time. 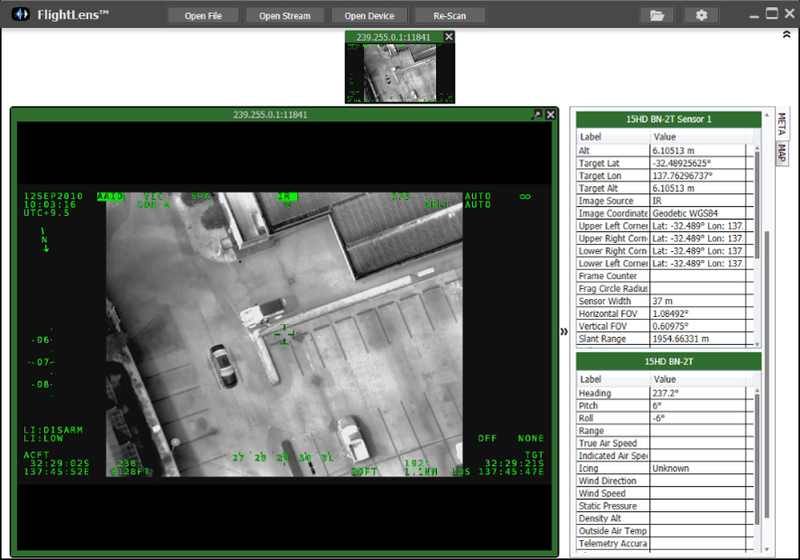 FlightLens® features automatic detection and display of live video streams and includes support for Session Announcement Protocol (SAP). You can also establish a custom configuration list of known streams to scan for on start up.